A mother said she felt ‘helpless and vulnerable’ after a council worker shamed her in the middle of a packed waiting room when she asked where she could breastfeed her son. Soraya Zaccaria was waiting for her appointment at a Southwark Council service point on Walworth Road in the south London borough when 22-month-old Cailean, who is allergic to cow’s milk, began crying. 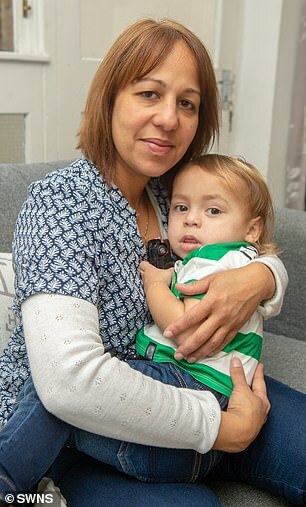 The packed waiting room had no available seats so the mother-of-three asked a male employee where she could breastfeed her crying toddler – but says she was told off by him. ‘He got close to my face while I was holding my crying son. ‘Cailean has a cow’s milk allergy which is why I still have to breast feed him. The stay-at-home mother resorted to trying to find a bench outside, but on a bitter December day, it was too cold. However she said the argument with the man resumed when she returned inside the council building, on December 11. She added: ‘I went back in, asked how to make a complaint and asked for the manager. But then member of the public jumped to her defence. She said: ‘A woman came over to us and told him that by law I was allowed to breastfeed, it’s under the 2010 Equality Act. ‘He began arguing with her and another council worker called me over and said he was being unacceptable and that I could breastfeed. ‘I have breast fed at bus stops and gas stations and no one even blinked. The Italian born mother added: ‘It was embarrassing. Ms Zaccaria was visiting the council offices to drop off some forms because her eldest son had just turned 18. 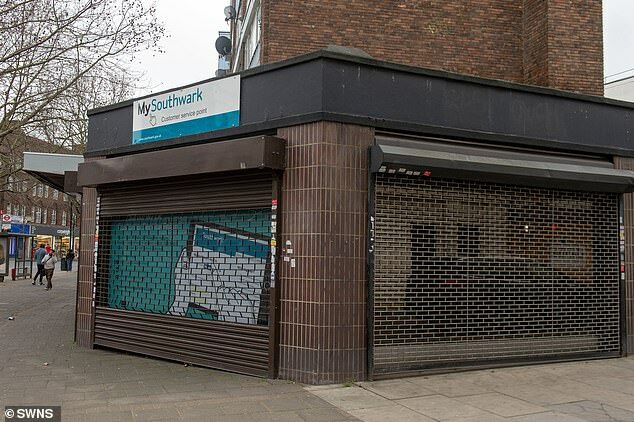 As soon as Ms Zaccaria, who lives with her partner and her three sons in Southwark, south London, returned home she made an online complaint and contacted her MP, Neil Coyle. Southwark Council recently joined a ‘breastfeeding welcome’ scheme, aimed at encouraging businesses to make mothers feel more welcome. Ms Zaccaria added said she regularly visits a breastfeeding cafe which is run by the council. She said: ‘I think all council workers should be aware of the Equality Act and should have some sort of training. 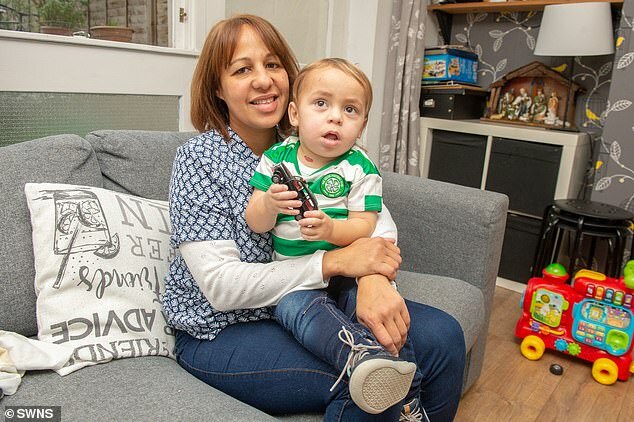 She said: ‘This is utterly unacceptable, as a mother of a young child myself, I totally understand the upset that this may have caused Ms Zaccaria, and for that I am sincerely sorry. ‘Soon after this incident occurred I understand that Ms Zaccaria met with our service point manager who directly apologised for this incident and assured her that we are working to ensure that this doesn’t happen again to other customers. ‘I understand that the security guard in question has also been spoken to about how to handle this type of enquiry in the future. ‘I want to reiterate that I am sincerely sorry that this happened.